In this Sept. 21, 2017, file photo, a sign on a door of the Environmental Protection Agency in Washington. Government figures show the EPA has hit a 30-year low in the number of pollution cases referred for criminal prosecution. 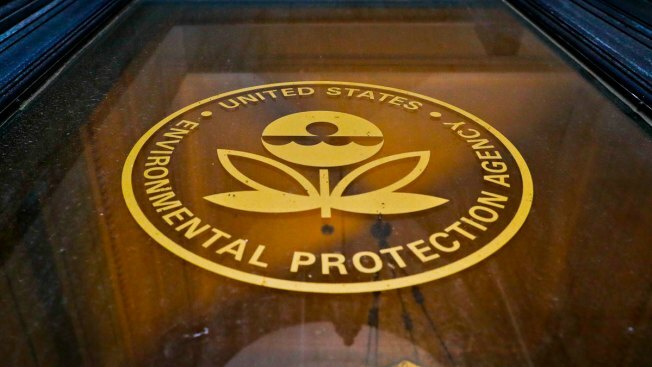 Justice Department data released Tuesday, Jan. 15, 2019, by the Public Employees for Environmental Responsibility show the EPA referred 166 cases for federal prosecution in fiscal year 2018. EPA said in a statement that it is directing "its resources to the most significant and impactful cases." But the 166 cases referred for prosecution in the last fiscal year is the lowest number since 1988, when Ronald Reagan was president and 151 cases were referred, according to Justice Department data obtained by the nonprofit Public Employees for Environmental Responsibility advocacy group and released Tuesday. "You don't get closer to the core of EPA's mission than enforcing the law," Jeff Ruch, PEER's executive director, told The Associated Press. "We're reaching levels where the enforcement program is lacking a pulse." EPA efforts to prosecute polluters reached 592 criminal referrals under President Bill Clinton in 1998. Criminal referrals have been on a downward trajectory since then, especially under the Trump administration. A supporter of deregulation, President Donald Trump as a candidate called for doing away with all but "little tidbits" of the federal environmental agency. Asked for comment, EPA spokesman John Konkus pointed to the civil settlement of about $800 million with Fiat Chrysler over claims the automaker rigged its diesel-powered Ram and Jeep vehicles to cheat on emissions tests. The agency said its actions in fiscal year 2018 led polluters and potential polluters to take care of 809 million pounds (370 million kilograms) of waste and pollutants, a 40 percent increase from 2017. EPA referrals resulted in 62 federal convictions in fiscal year 2018, the fewest since 1995. Scott Pruitt was the agency's head for most of fiscal year 2018, resigning in July amid ethics scandals over his spending and allegations of favor-seeking in office. Pruitt rankled many by insisting on an unusual round-the-clock security detail, which required drawing agency special agents from regional offices for stints guarding him. Andrew Wheeler, whose nomination to succeed Pruitt as the agency's chief goes before a Senate committee Wednesday, stopped the 24-hour guard when he was named Pruitt's acting replacement. Congress in 1990 mandated that the agency's Criminal Investigation Division deploy at least 200 special agents. PEER said the number had fallen to 140 special agents by last April. "They're being gutted," said Michael Hubbard, a former special agent who led the EPA's Criminal Investigation Division regional office in Boston. With so few EPA special agents to investigate polluters around the country, "as leads come in, they can't be followed up on," Hubbard said. "You end up saying 'no' to potential leads routinely because you just don't have the wherewithal to investigate them." Justice Department figures show the agency's referrals for criminal prosecution slowing even more in the first two months of fiscal year 2019, to 24, under Wheeler. Wheeler, like Pruitt, at times emphasizes giving states more say in regulation of polluters within their borders. Wheeler also has continued a centralization of enforcement action and decision-making within the agency. Critics say that could discourage enforcement.